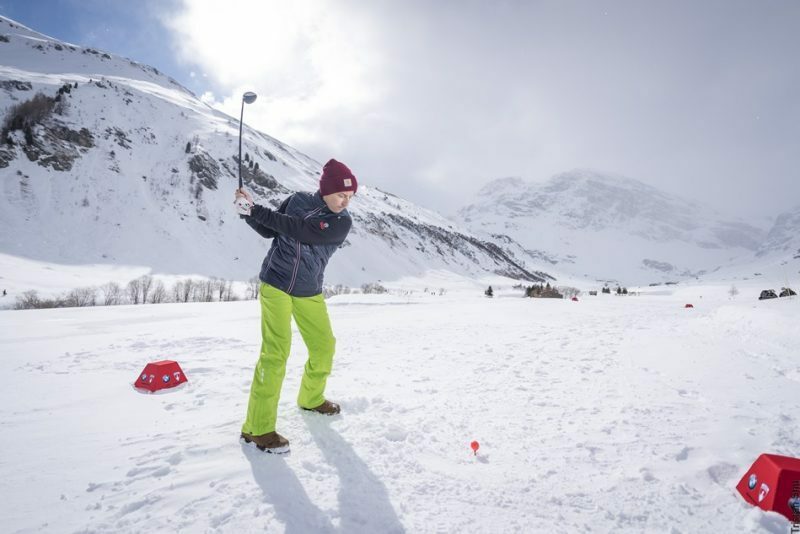 From March 29th to April 3rd 2016, it’s golf-on-snow time in Val d’Isère. The beautiful and unspoiled Manchet Valley is the setting for the six days of the Val d’Isère Winter Golf tournament. This year, this prestigious event goes way beyond being just a golf tournament for professionals and dedicated amateurs. France will take on Great Britain at golf …and at skiing. You really can’t afford to miss the magical atmosphere of what promises to be a unique sporting contest. Winter Golf kicks off with this inaugural tournament on Tuesday, March 29th and on Wednesday, March 30th. The fact that British visitors form the major part of Val d’Isère’s winter clientèle makes them especially welcome for this international skiing and golfing spectacle. THE BMW Winter Golf Cup begins on Thursday, March 31st with winter street golf over an imaginatively constructed course of seven holes along the front de neige and in Val Village. Afterwards, the 35 amateur pairs battle it out over two rounds of nine holes in the Manchet Valley. The BMW Winter Golf Cup ends with a relaxed brunch on Sunday, April 3rd. Sunday, April 3rd is a chance for anyone – beginner or established player – to take advantage of the course in its stunning natural setting in the Manchet Valley.